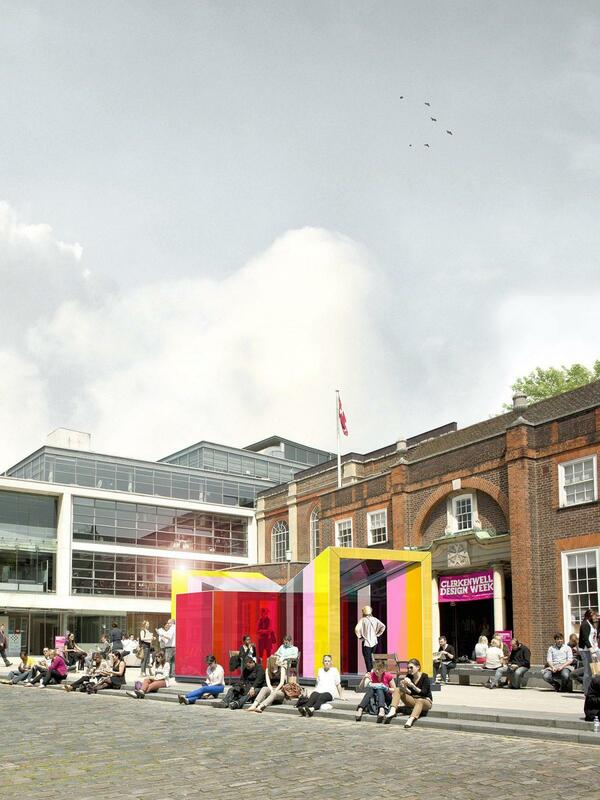 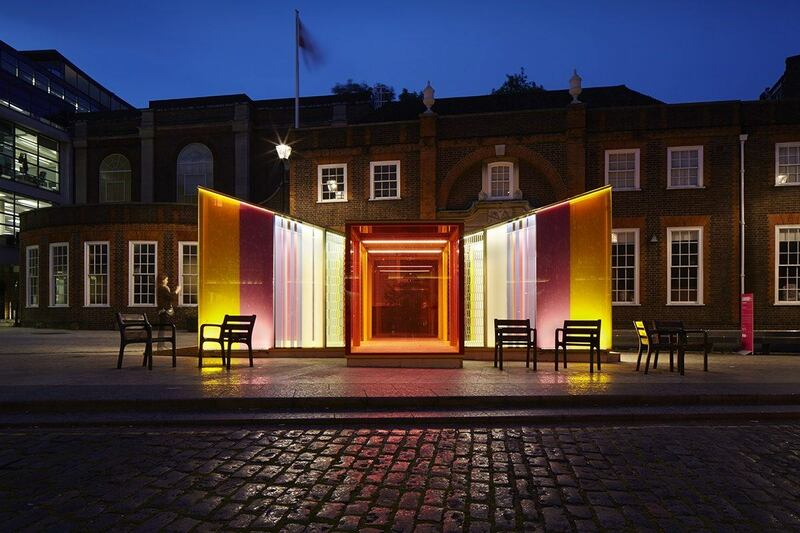 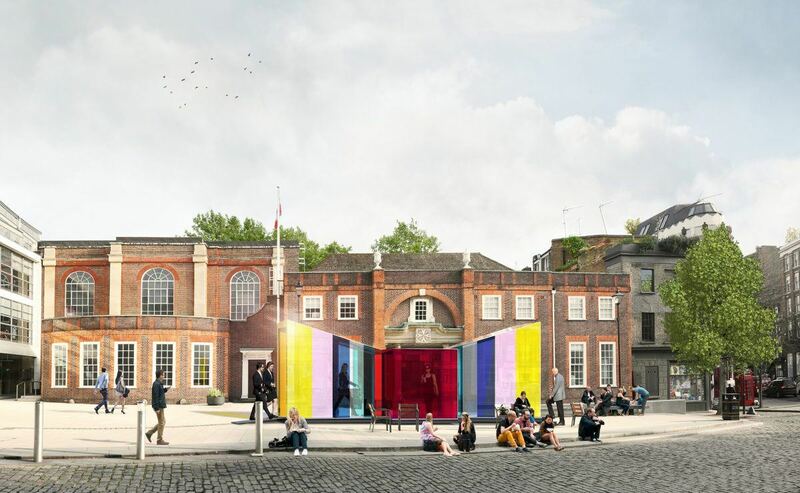 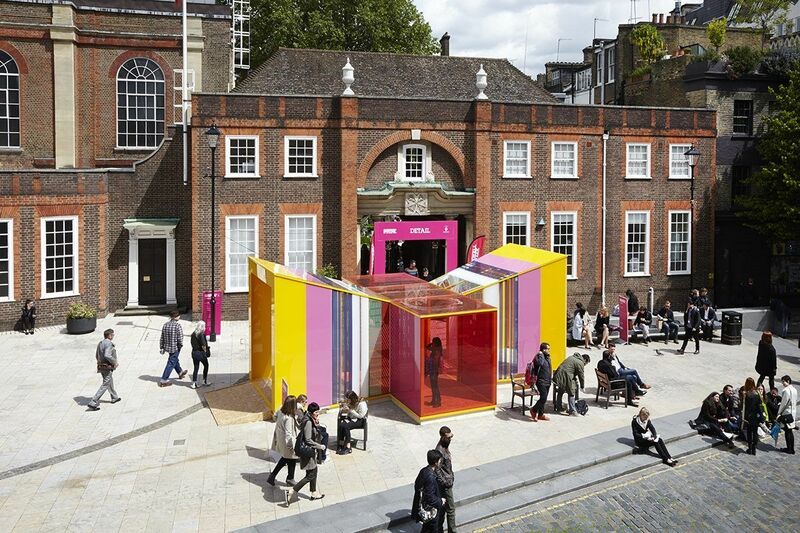 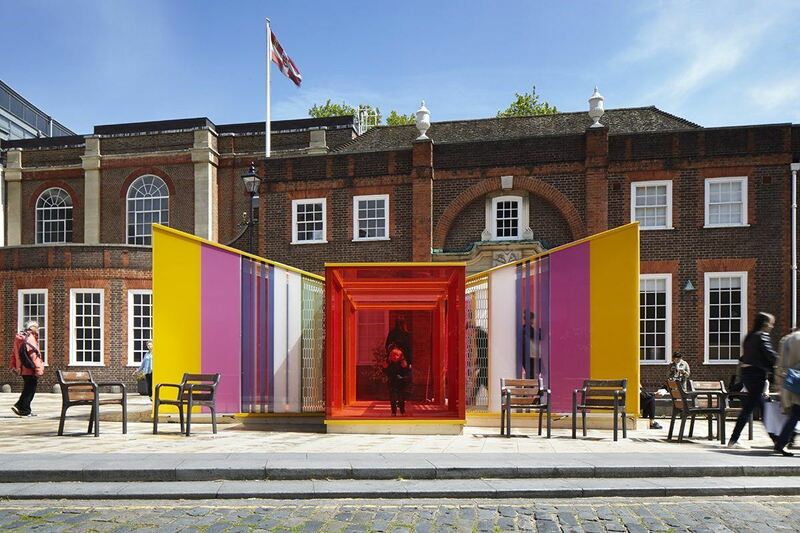 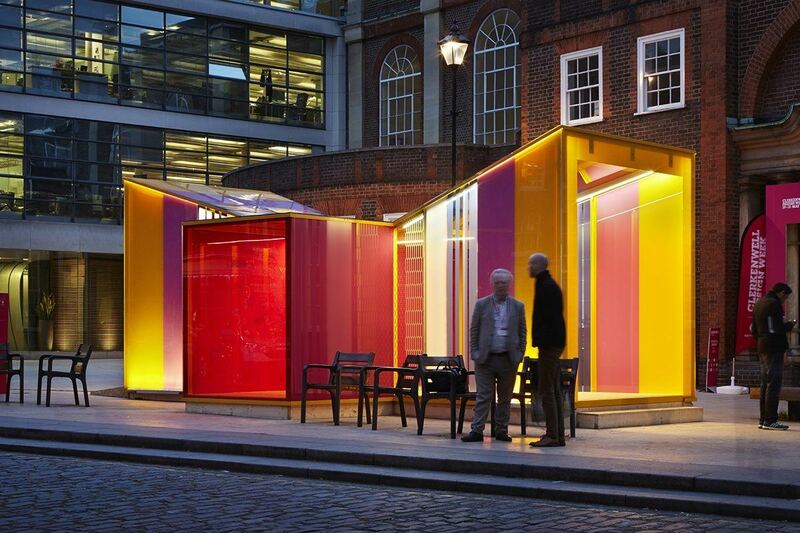 This multicoloured jewel-like pavilion was installed in St John’s Square for Clerkenwell Design Week 2015. 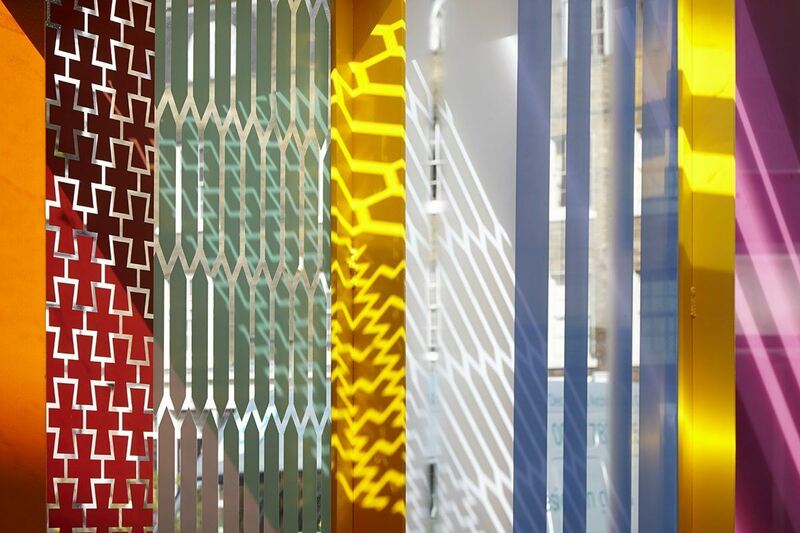 Glaze offers a journey through a multitude of glass products that vary in size and colour, creating a walk through a visual wonder. 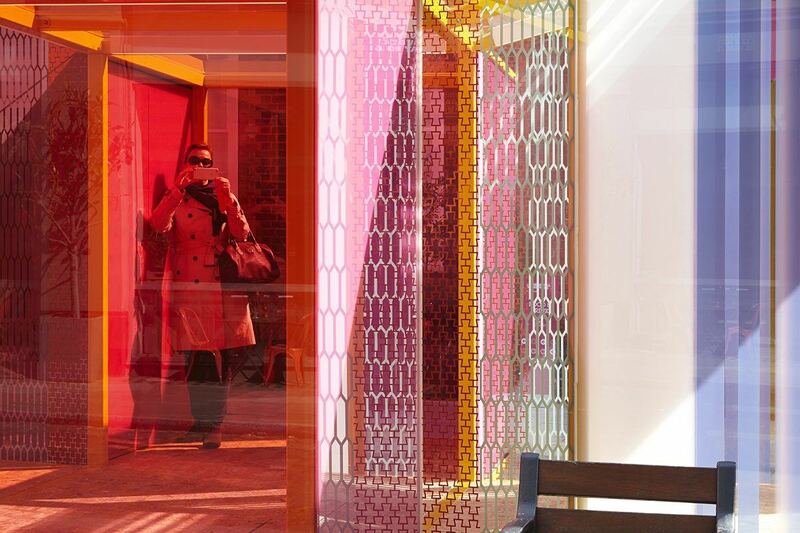 The vibrant panels alternate between opaque and transparent, inspired by Venetian Murano glass. 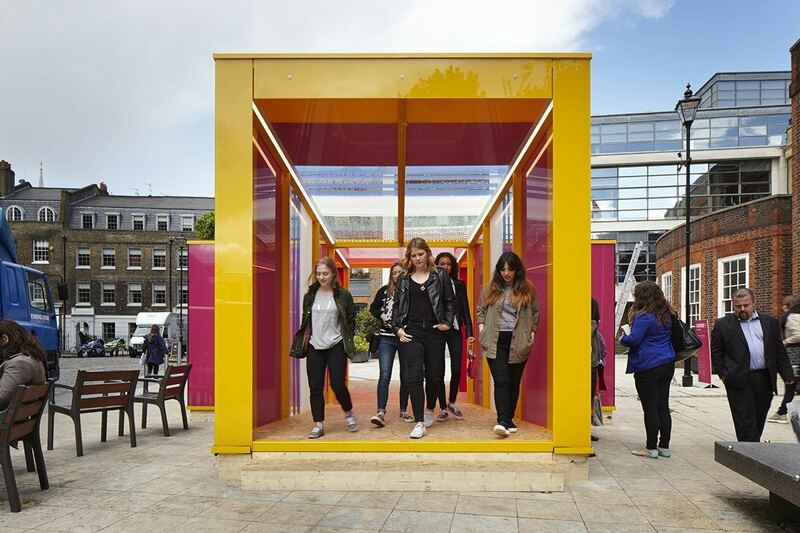 A lightweight steel frame holds glass of different widths and finishes that draws the visitor towards the centre of the installation. 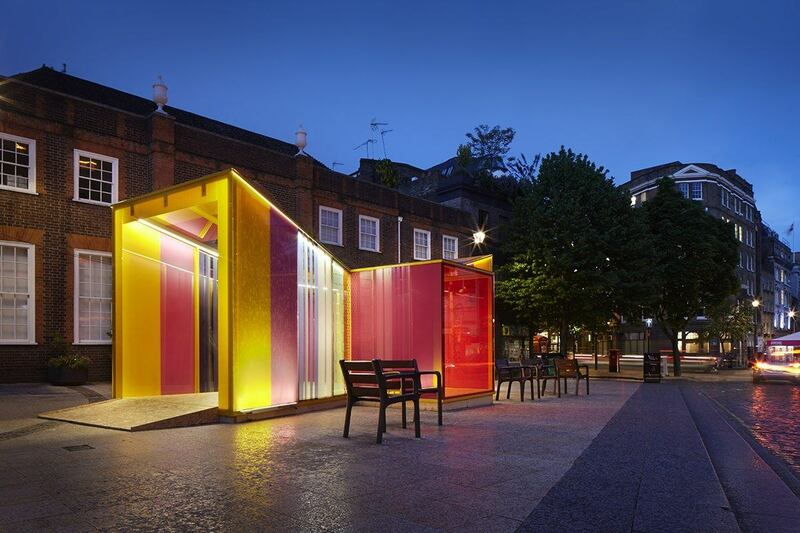 Fully demountable and reusable, the installation is designed to highlight and celebrate the versatility of glass, its colour and the surface designs that make glass an important medium through which designers and architects can realise their ideas. 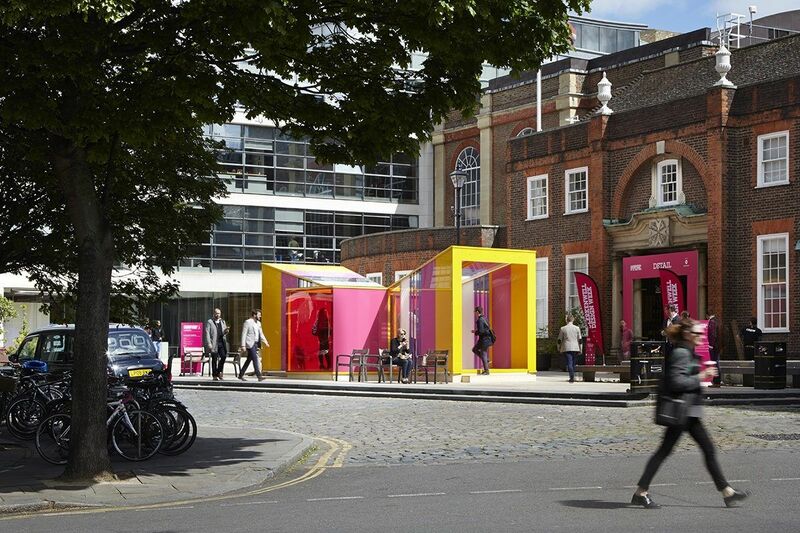 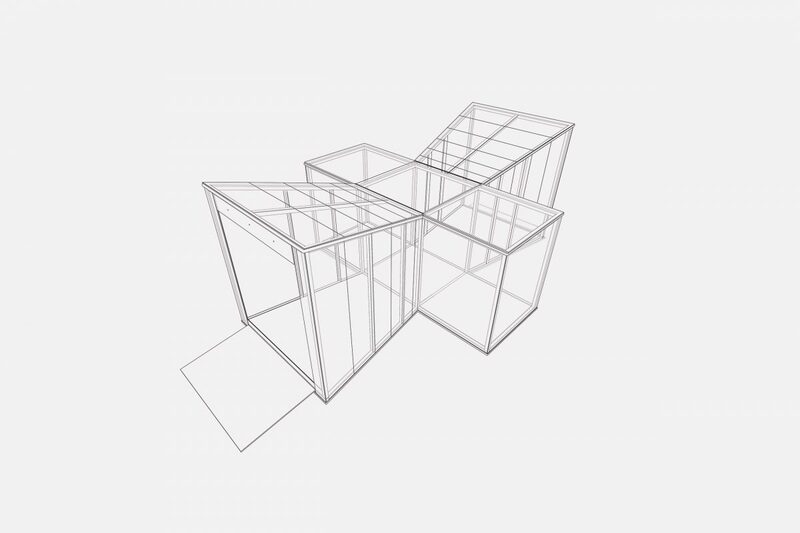 Click here for a video of the construction of Glaze Pavilion for Clerkenwell Design Week 2015. 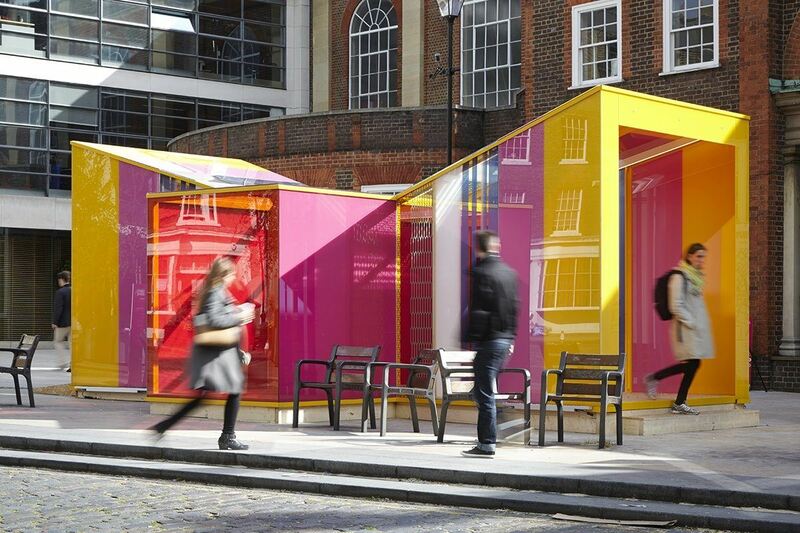 Glaze will soon be relocated to have a new lease of life as a community hub in Cambridgeshire.